What, when and who has applied changes to your Cisco UC configuration? Which phones are newly registered or have disappeared? 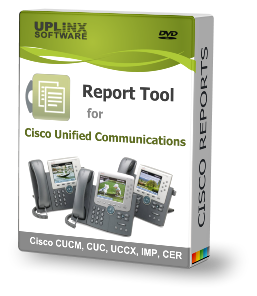 With UPLINX Report Tool you can easily track, audit or compare configuration reports or phone inventory reports of Cisco CUCM, CUC or IMP. During migrations, effortlessly compare the new to the previous configurations and view any change. Build a cost-effective configuration management system for Cisco UC with a few scripts. Create automated configuration backups based on Windows Task Scheduler so you can revert unwanted changes. Simplify your change monitoring for daily operations by automating scheduled change tracking and send out alerts to review changes. Monitor and track changes of specific configuration items (such as changes to dial plan, CSS, device pools, gateways) by executing scheduled audit reports which filter configuration changes. Trigger email notifications to admins including change details, time and user details for immediate attention. The Phone Inventory Audit reports on added or deleted phones, changes to phone configuration and registration status (de/registered) and can be further processed in Excel. View how to use steps in the user guide how to find changes. or view generated Sample Backup and Audit Reports. If you look for a complete, web-based configuration management system for Cisco UC, please see our Track & Audit System.